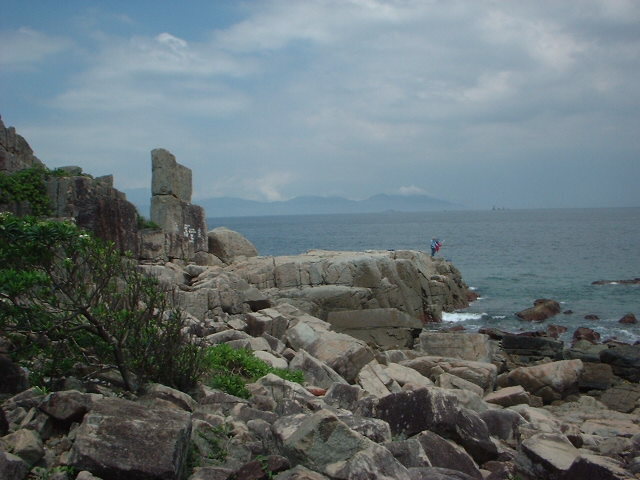 Hong Kong has a number of beautiful islands. 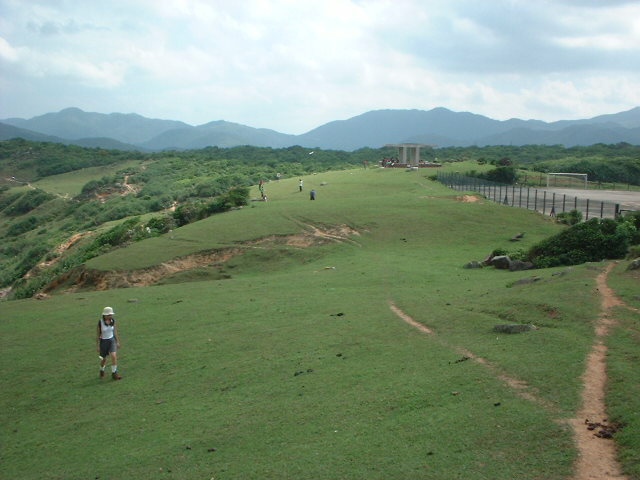 Grass Island (Tap Mun) is one of the best. 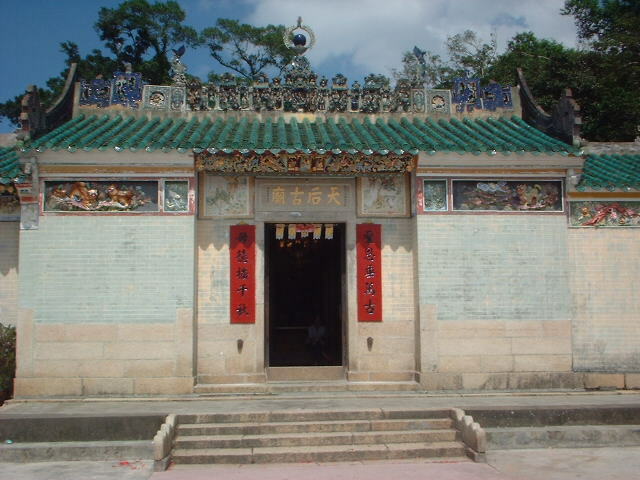 It is situated in Sai Kung, of the North-eastern region of the New Territories. We took a ferry from Wong Sek Pier. Less than 30 minutes, we arrived at the Tap Mun Pier. There were food stalls and some Chinese seafood restaurants. We walked along the hiking path in the southern direction. Grass Island has some scenic spots. Balanced Rock is a not-to-be-missed natural scenery. We noticed the rock from a distance. As we were near the Balanced Rock, we left the main hiking path and moved towards it. 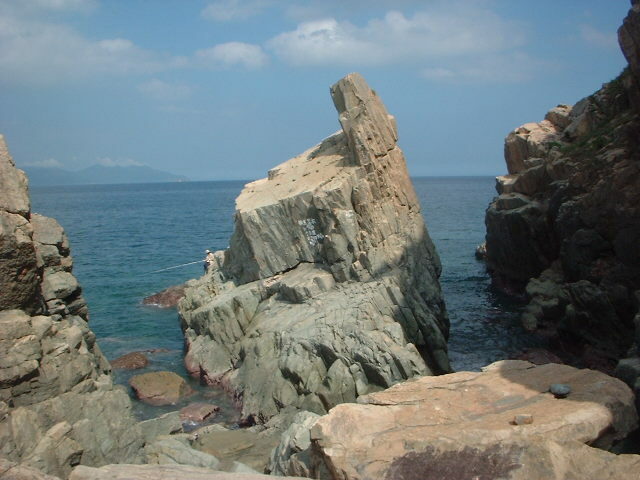 It is composed of two big rocks- a smaller one overlapping the other. It looks funny. From certain angle, it looks like a robot. But from another angle, it also looks like the Chinese character "??. You can imagine other things by yourself. Returning to the main hiking path, we continued an enjoyable walk towards the pavilion at location 3. There existed an excellent seaview with fresh sea wind blowing onto our faces. It was an ideal place for us to take a rest and to admire the beautiful scenery nearby. 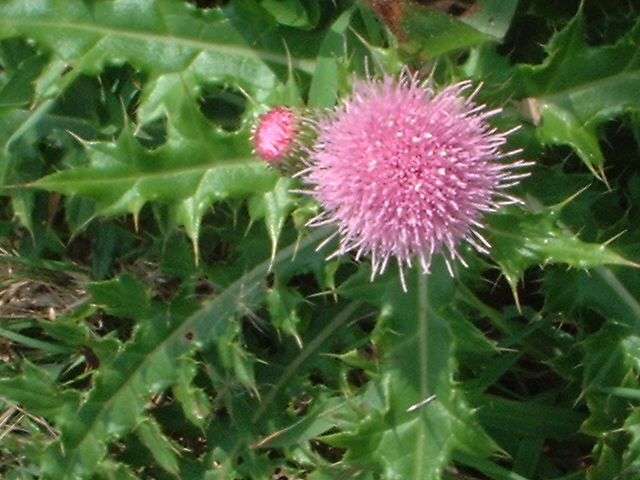 The island was full of green grass, a fact that was reflected by its name. 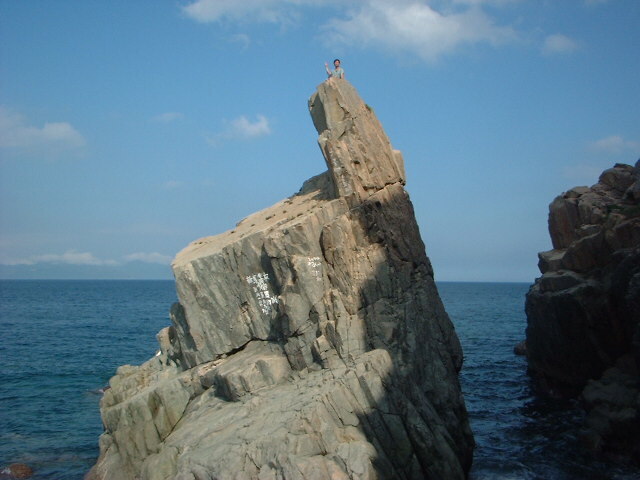 We moved in the northern direction, aiming to visit the Neck of the Dragon (Lung Keng Gun), another famous spot in Grass Island. 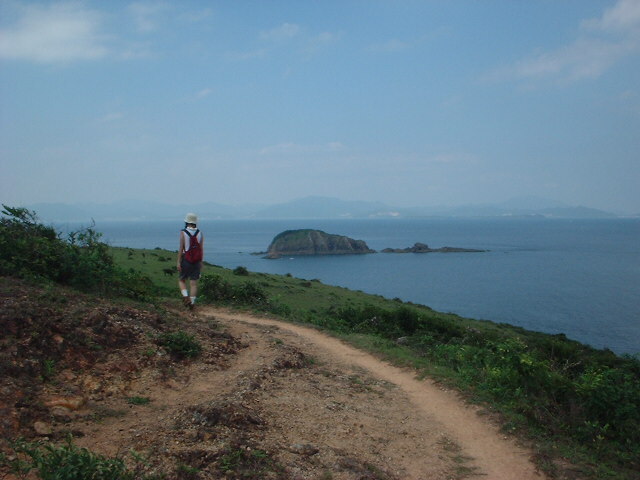 The route continued to be nice with good coastline view. We met a lot of wild cattle during our journey. We thought they came from different families. Some of the small cattle were accompanied by their parents. They should have enjoyed their living there, going freely over the Grass Island and eating natural grass. 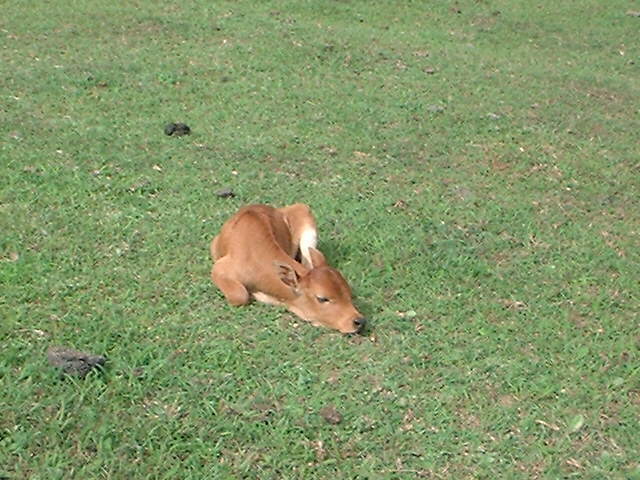 When the small cattle were tired, they just lied down and took a good sleep. 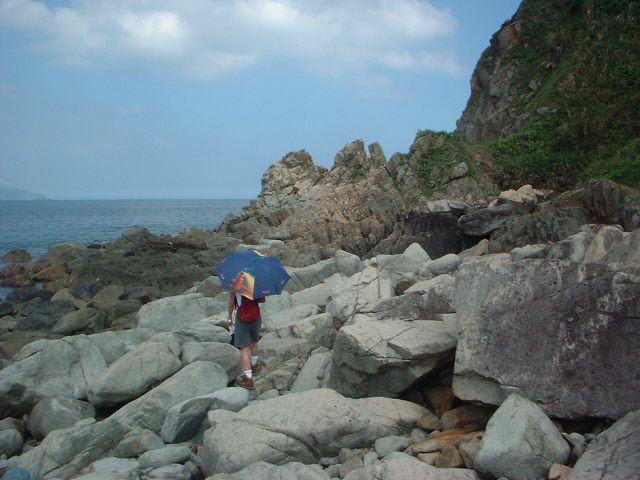 We explored the hidden path leading to the southern end of Che wan (a long rocky bay). 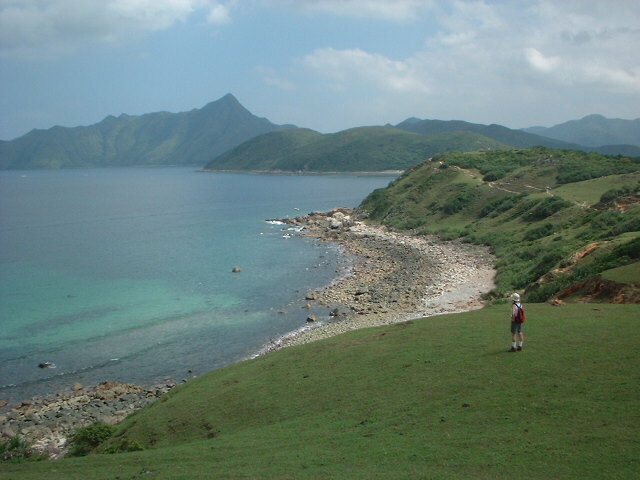 Walking along the coastline in the southern direction, we were approaching the Neck of the Dragon. After 45 minutes, we arrived at "the Neck of the Dragon". 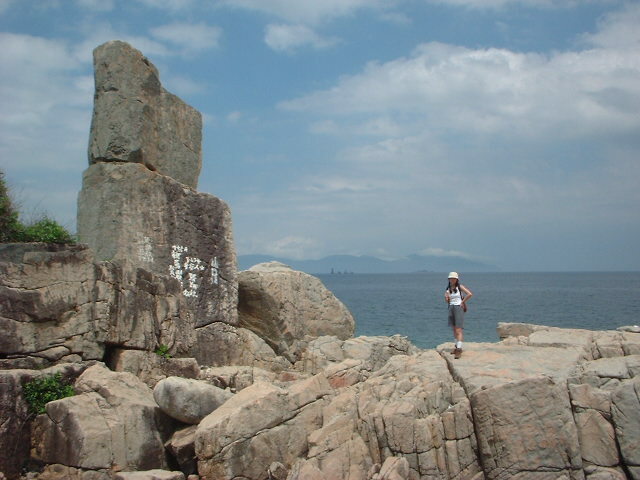 It was a big rock standing out of the sea. It seemed that that "dragon" had lost its head but remained its neck. We saw a man doing fishing there. 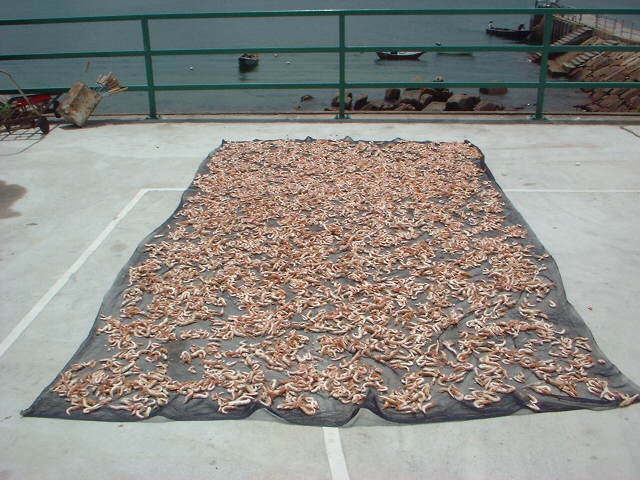 He said that he caught several kinds of fish including "Shek Kau Kung". Sometimes, the sea wave was great enough to create some loud roaring sound there.